 Our 5-star boutique hotel, Maison Albar Hotel Paris Opéra Diamond, offers an authentic, sophisticated experience. This familial residence embodies French elegance, with a focus on high-quality services and the latest modern equipment. Behind the Haussmannian facade lies glamorous, contemporary decor. The lobby and bar have a lounge feel where everything looks radiant underneath the diamond symbol! A profusion of mirrors, black granite sparkling with Swarovski crystals, chaises longues in grey and lilac velvet, a sublime glass chandelier… Sophisticated details abound. As for the bedrooms, you will be torn between our two ambiances. Everything has been selected for the utmost luxury, paying homage to women and diamonds. And then there’s the charming, timeless, hidden patio garden. A chic, relaxed destination for those in the know! Junior Suites have 25 to 30 m² of living space and contemporary furniture softened by sensuous fabrics. The baroque theme is given an update with velvet, droplet chandeliers and mirror effects. 5-star comforts abound with the high-end equipment in the marble bathroom. Combine an exceptional stay at the Maison Albar Paris Opera Diamond with Spa Céline by Cinq Mondes. Discover the beauty of Paris during the journey there at Maison Albar Hotel Paris Céline. Discover the City of Light in all its splendour... And experience the history of Paris by visiting its legendary, timeless museums. Discover Paris as never before: a dream stay with a helicopter trip over Paris - Unforgettable photos guaranteed! Combine the French elegance of romantic Paris with champagne and rose petals for a night and perhaps add another chapter to your life story! A true ode to love. A delicious French breakfast – bon appétit! A team of multilingual personal shoppers who will pick out a selection of products suited to your style and according to your wishes. Your purchases will be delivered on time, to the location of your choice. We know that shopping is a serious matter! Just moments from our door, Printemps Haussmann invites you to enjoy a unique shopping experience. We’ve thought of everything to make this chic getaway the perfect retail treat.